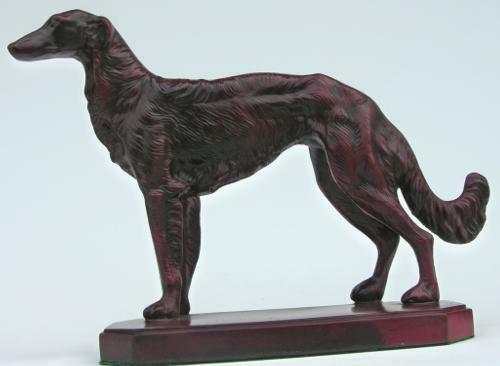 Borzoi Wolfhound – Manufacturer Unknown. Circa 1940s. (A favorite Deco theme). Gray metal in burgundy red finish. Measures 7” high x 9-1/2” long x 3” wide. Weighs 7 lbs. the pair. Felt bottoms. Perfect condition.